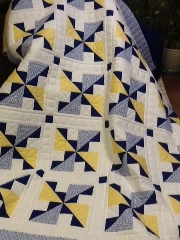 I came home, made supper and finished hand quilting this customer quilt. Lovely piecing and colours in this queen size quilt. Tomorrow, another one goes in the frames. I did quilt a baby quilt on Lily yesterday, but haven't taken a pic yet...maybe tomorrow. We have one more month for blocks to finish our 100 club quilt....can't wait to show it to you! 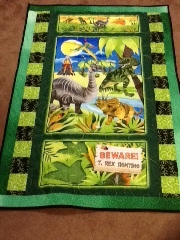 Ok.....I got the baby quilt bound after I posted and here is a pic. 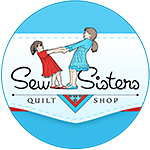 Such an ambitious project to hand quilt such a large quilt! It looks great, too! Sweet baby quilt! 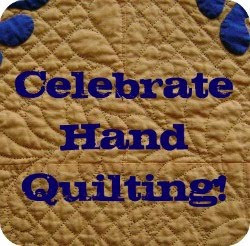 Put a Little Love in Your Quilt!!! !